Whether you are just starting up a business or you are already a small business owner who is looking to expand, a business loan can help give you the funds you need to reach your business goals. There are many options for obtaining a business loan, but before you go looking for funds, you need to decide exactly how you plan to spend the capital to grow your business. One of the most common reasons that business owners pursue a loan is to purchase inventory. Businesses in the retail industry need a significant amount of inventory to keep their companies running smoothly, and this can sometimes be difficult, especially if your business is just getting started or experiencing unusual demand. Using a small business loan to buy inventory is a great way to help you respond quickly to consumer demand, prepare for peak shopping seasons and set yourself apart from the competition. Unfortunately, business owners are not always prepared financially when a piece of equipment breaks down and needs to be replaced. Other companies may put off growing their business because they do not have the funds to purchase the necessary equipment for expansion. A business loan can help companies get the funds they need to upgrade, replace or purchase more equipment. Three of the industries that can benefit from equipment loans the most are transportation, energy and telecommunications, as these industries often require the use of expensive equipment. Whether you are ready to hire your first employee or you need to bring on additional staff to help meet growing business demands, hiring staff is a considerable investment. According to the U.S. Department of Labor, bad hires and employee turnover can ultimately end up costing your business 30 percent of its yearly earnings. Instead of bargain shopping for your next employees, you can use a business loan to get the initial funds that you need to hire the right candidates. In today’s digital marketplace it is nearly impossible to compete without having an attractive website that is easy to navigate and use. What many new business owners may not realize is that the cost of building a killer business website goes beyond just buying a domain. In addition to domain and hosting costs, there are also fees involved with using a drag-and-drop website building service like Wix or utilizing premium themes in a do-it-yourself platform like WordPress. If you plan to hire a professional, web development services can range anywhere from $1,000 to $100,000 depending on your needs. A business loan is a great way to cover these startup costs for your website. Though having an effective website is important, you still need to market your products or services. If you are planning on handling your marketing in-house, there are a variety of marketing tools for small businesses that can help you promote your business online and off. Many businesses also choose to focus on their core business and outsource their marketing to a contractor or agency. These marketing costs can all be covered with a small business loan. When business is slow or companies find themselves dealing with unexpected costs, business owners may sometimes need help covering day-to-day operational expenses like utilities, accounting or even paying staff. 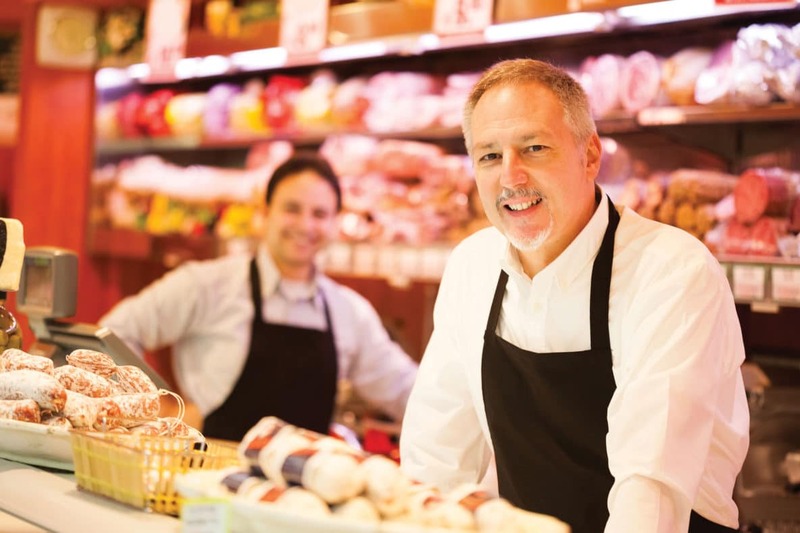 A business loan can help small business owners get the funds they need to keep things running smoothly in the meantime. There are many costs to consider when expanding your business. In fact, many of the uses for a business loan that are outlined above are expenses that you might incur while trying to grow your business. Whether you need to buy more inventory or equipment, hire more staff or expand other aspects of your brand, a business loan can help give you the initial capital that you need to take your business to the next level. Once you have decided exactly how you plan to use the money, it is time to do some research on your options for small business loans. Remember, traditional banks are not the only way to get the money that you need to start or expand your business. Alternative online lenders like Capital for Business offer flexible funding options for a variety of industries including retail, hospitality, construction, auto repair, beauty, medical, dental and wholesaling. A small business loan or line of credit can help you get started or start expanding without worrying about finding the necessary capital.